Tonight we will go up a short branch from Robinson to Lone Pine and onward to Shattuck. The town of Shattuck is name for associate Sue Line crew member Paul Shattuck (above, right). Paul Shattuck lives in Wichita, Kansas, and is a consultant to the United States Air Force. 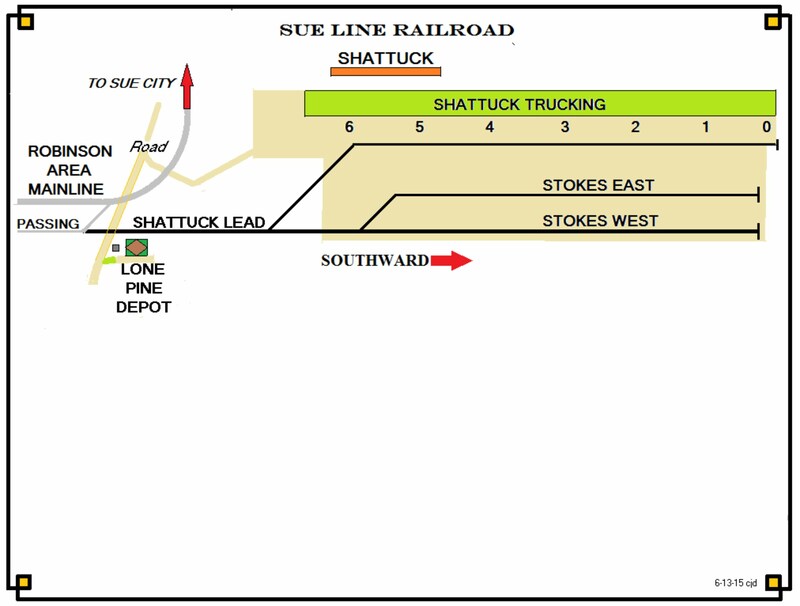 Shattuck was originally home to Shattuck- Harwell Intermodal Transfer and was named for Paul Shattuck and Paul Harwell, another associate member of the Sue Line crew (above, left). 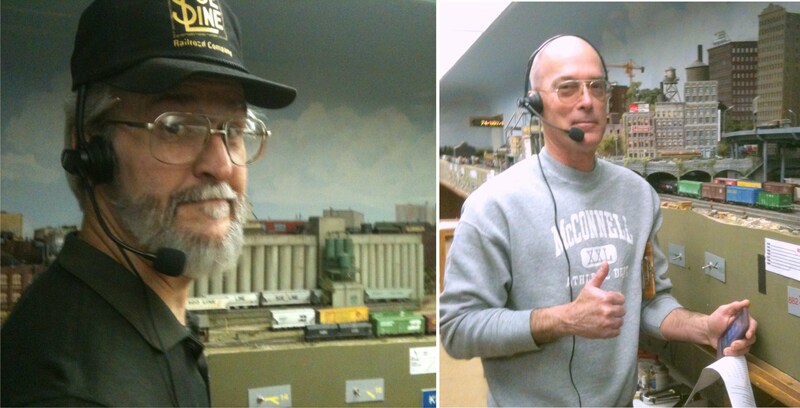 Paul Harwell now lives in Longview, Texas and is hoping to open a model railroad museum. Shattuck- Harwell Intermodal Transfer was best known by its initials. Just south of Robinson there is a road crossing (above) and a line that leads to the small community of Lone Pine and on to the town of town of Shattuck. The community of Lone Pine was named for the railroad of model railroading pioneer, Whit Towers. Whit Towers literally "wrote the book" on model railroading operation. One night, Whitt Towers was visiting with Cliff Robinson of Dallas, Texas. and was overheard explaining to Whit Towers how to "operate". It was one of the most embarrassing things in my life. the service station in Lone Pine. Here we see the station in Lone Pine. IT is located on the branch line and is primarily for commuter service. Here we see a truck at the grade crossing on the back road that leads to Shattuck. Here we see an overview of Shattuck. a member of the Sue Line crew. which is named for my youngest son, Joseph Kamm. These shots show the signage on the roof. Can you guess the year that Joseph Kamm was born? Here are some shows of the partially completed interior of Joseph's Shipping Service. The LED lighting has been done by Sue Line crew member Dillon Stokes. Dillon Stokes also weathered the automobile carrier cars. Next week we will continue our travels north to the town of Brandon and BRA Junction.